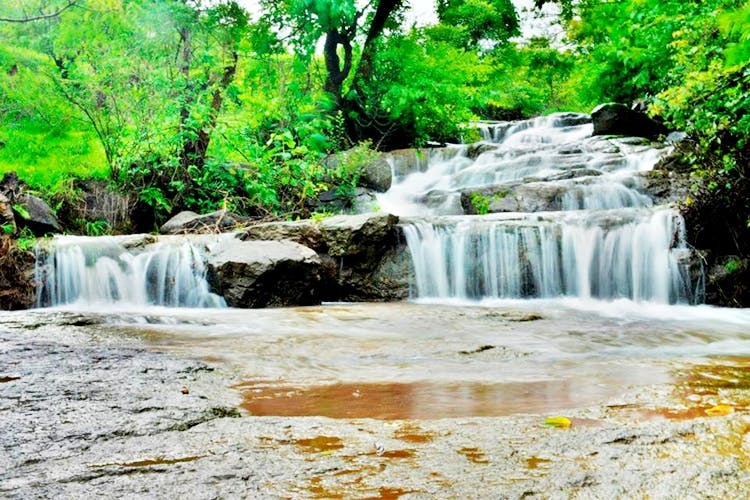 Did You Know There's A Sacred Forest With Waterfalls, Just A Couple Of Hours From Pune? Against the backdrop of Pavana Dam, is the quaint quiet village of Ajivali, about 50 kilometres from Pune. The forest of Ajivali, Devrai, is a lush green patch, dedicated to local deities and tree spirits. Start your journey early. If you’re driving take the Pirangut Road to Paud Village, through the villages of Kolvan and Kashig. Stay on the road until you reach the left turn at Javan-Tungi road. The drive is full of ghats, so be careful during the turns. Once you cross the stretch of ghats, a small road leads to the base village of Ajivali. From there, trek for a couple of kilometres to reach the sacred Devrai forest. An abode for exotic flora and fauna, Devrai forest is dedicated to goddess Waghjai Devi. A muddy narrow path up the hilly slope gradually leads you to this spectacular forest. Devrai is moist green dense jungle filled with tall, tall trees. The place is cool and quiet and has a natural soothing element to it. The jungle has cascading waterfalls that are a must-visit. The best time to visit Devrai is definitely during the monsoon when the jungle is in a full bloom state. Multi-color flowers, herbs, shrubs, trees and leafy routes, Devrai is a hidden gem tucked far away from the city chaos. It is better to go on this trek with a group. We suggest you to get in touch with the Western Routes that arrange for multiple jungle walks at Ajivali Devrai. Carry an extra pair of slippers, and if you’re snacking on the way to the jungle, please DO NOT litter the place.